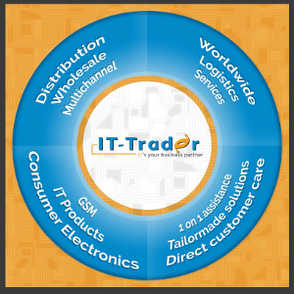 As a wholesaler and B2B service provider in the trading business since 2003, IT-Trader helps business partners to save time and money taking care of the whole trading process: from product sourcing, to market research, acquisition, logistics, delivery and paper work. We guarantee transparent pricings and commit to serious and perfectly organized deals. You need a partner who helps you find the stock you are looking for, or one who knows the channels where to distribute your products worldwide? Then get in touch with us, we will be glad to introduce ourselves and discuss your personal needs.